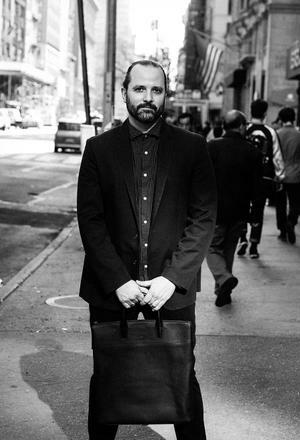 Victor Sanz, creative director of Tumi. Samsonite purchased American brand Tumi for $1.8 billion, making it the world's largest suitcase manufacturer. Sanz strives to create products whose functionality is enhanced by aesthetic appeal. Holding more than 125 patents, Tumi has ensured its products are designed and engineered to have readily fixable parts. Tumi’s 19 Degrees collection features aluminium cases in a contemporary style with distinctive sculpted angles. Wealthy consumers continue to spend and luxury travel is close to the top of their shopping lists, a trend that translates into significant potential for the luggage market. Indeed, travel accessories are expected to grow globally into a $5 billion business by 2020. Last year saw Chanel choose an airport theme for its spring/summer show, tapping into the zeitgeist, and LVMH taking a controlling stake in Rimowa. And this was in the wake of Samsonite’s purchase of the American brand Tumi for $1.8 billion, making it by far and away the world’s largest luxury suitcase manufacturer. 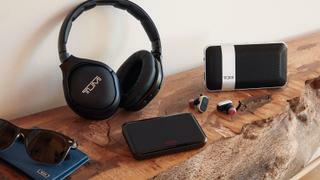 Tumi strives to marry engineering and design so that the lines between the two become blurred. “We are able to remove parts, to minimise the number of elements that can fail, through engineering,” Sanz says. This rigorous design process means that if a problem does occur with a zipper pull, a wheel, or a handle, it can be fixed in-store in minutes. Above all, Sanz is constantly pushing his team to deliver products that stand out, in an industry where a degree of sameness is the norm. But there is very little design for design’s sake. Everything has to have a purpose. And that’s where the challenge lies, because the products have to be beautiful as well as functional. 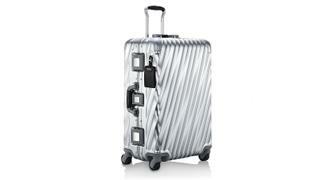 Aiming to be the best in class, Tumi recently launched its first aluminium cases in a collection called 19 Degrees. Sanz claims that this collection combines “architecture, design, art and travel” in a style that is characterised by sculpted angles that push past being merely utilitarian. “It is an example of how luggage can almost become a piece of art,” he adds proudly. But where does the man who has traveled the world many times over most like to be? Sanz tells me that his favourite places are Tokyo and “anywhere in Italy.” But home, he says, will always be the East Coast, where he was born, raised and still lives.